Stuart Diamond was admitted to the California Bar in 1988. He started his legal career with a large San Francisco Law Firm and eventually developed his skill set in the area of Plaintiff's Personal Injury. He prides himself on the personal attention he gives to each and every client. He is a member of the Million Dollar Settlement Club yet he will handle all cases whether large or small with the same degree of personalized attention. He is also a Mediator that has mediated as the mediator over 1000 cases and as a lawyer for his client's many more. Stuart Diamond, the youngest of four children from a blue-collar family first worked as a sales representative for an international company before attending night law school at Golden Gate University while working full time. 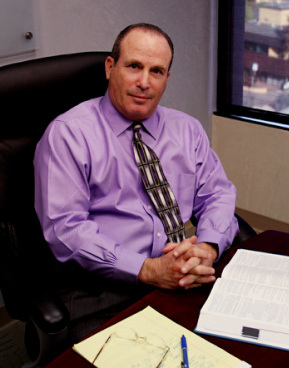 After practicing in the area of personal injury law for 10 years he attended the Harvard Law School Mediation Training program and in addition to his Personal Injury litigation practice, he also privately mediates cases for other lawyers and their clients. This has allowed him to observe high quality legal representation and synthesize the best skills he has observed into the representation of his own clients. Stuart understands the hardships imposed upon the client who has suffered injuries causing loss of income and long-term residual pain and suffering. He has forged relationships over his 26 year career with lawyers and insurance adjustors that often allow cases to settle for full value without the need for the potentially risky, costly and uncertain results of a trial.